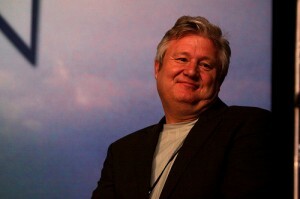 UPDATE: 11/15/11, 3:30pm — I just finished a nearly seven-minute telephone conversation with Marcus Bachmann. A member of the media was there, and a video report will be forthcoming. It will be posted as soon as it becomes available. Yesterday afternoon I was in a meeting and, of course, had my phone off. After the meeting concluded, I checked my phone and saw that I missed a call from a number I didn’t recognize. Since the mystery caller left a voicemail, I checked it, and my jaw nearly hit the floor when I found out that the mystery caller was, in fact, Marcus Bachmann. Bachmann was calling in an attempt to collect $150 in no-show fees from two “pray away the gay” appointments I canceled after going through five such sessions with a therapist at his clinic back in June. Before patients at Bachmann & Associates start services, they’re required to sign a paper acknowledging that they’ve been made aware of the clinic’s no-show policy. According to said policy, patients are assessed a $75 no-show fee for each appointment that they miss without giving prior notification. I always booked the maximum number of appointments in advance that I could (3) in order to avoid suspicion — after all, it was to be a 4-6 month course of treatment — so when I went back to Vermont, I called the clinic to cancel them. However, I didn’t want to give them any kind of a heads up about the story that was about to break in the media, so I said that a member of my immediate family “back home in Wisconsin” (they had seen and photocopied my Wisconsin ID) had had a health crisis, and that I needed to go out of state but didn’t know when I’d be back. On the voicemail I left at the clinic, I told them to cancel all three of my appointments and that I’d schedule my next sessions when I knew when I’d be back in the Twin Cities. Apparently, instead of cancelling all three appointments as per my request, the receptionist or whomever had the job of fielding voice messages only canceled the first appointment, because two months after the story broke I started receiving bills for $150 (two no-show fees) from Bachmann & Associates. I wasn’t about to have Truth Wins Out fork over another $150 for the clinic’s error, so on November 2nd I called them and very politely contested the fee. Neither the receptionist nor the billing representative with whom I spoke had any idea who I was. The billing representative merely told me that once the fees had been assessed they could only be waived at the therapist’s discretion, so she’d send a message to Timothy Wiertzema asking whether he’d be willing to waive them. She assured me that if Timothy hadn’t personally called me back by the end of the week, I could safely assume he’d agreed to waive the fees. Hello John Becker, this is Doctor Marcus Bachmann (emphasis his); I received a message from our billing department asking if we would write off the two no-show fees for 7/7/11 and 7/12/11. We will not (emphasis his) be writing those off, so you do owe those no-show fees, and we would expect payment as soon as possible, otherwise we will have to turn it over to collections. If you have any questions you can call (651) 379-0444. Thank you. Either Marcus Bachmann has a lot more time to personally attend to his underlings’ business matters now that his wife’s presidential campaign has tanked, or Truth Wins Out’s undercover investigation remains a very personal issue for him nearly five months later. I’ll be calling Dr. Bachmann back later today. Stay tuned!